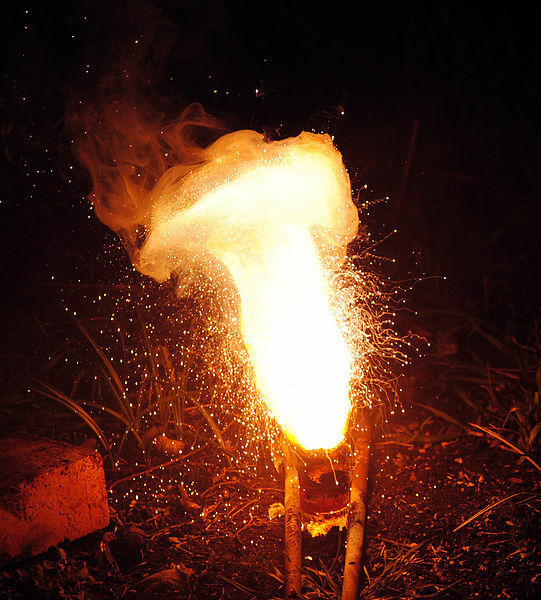 Thermite is a pyrotechnic composition of metal powder fuel and metal oxide. When ignited by heat, thermite undergoes an exothermic oxidation-reduction reaction. Most varieties are not explosive but can create brief bursts of high temperature in a small area. Its form of action is similar to that of other fuel-oxidizer mixtures, such as black powder. Thermite reactions have many uses. Thermite is not an explosive; instead it operates by exposing a very small area of metal to extremely high temperatures. Intense heat focused on a small spot can be used to cut through metal or weld metal components together both by melting metal from the components, and by injecting molten metal from the thermite reaction itself.